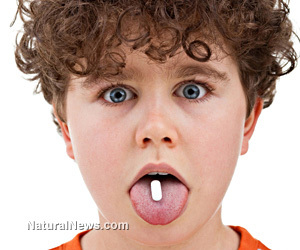 (NaturalNews) Pills have become the solution to every problem. A new trend in psychiatry is the prescription of strong and toxic antipsychotic drugs to children with ADHD as well as other behavioral disorders. The "off label" use of these drugs can come with a host of dangerous side effects-effects much worse than the behavioral problems they are supposedly treating. The type of antipsychotics being administered is considered "atypical" or second-generation meaning that they have only been on the market since the 1990s. Usually they are prescribed to adults with serious mental disorders such as bipolar disorder or schizophrenia. However, a study has shown that the amount of children being prescribed antipsychotics has increased seven-fold in an eight year period. Furthermore, adolescents are also showing increasing rates of antipsychotic prescriptions. Overall, while according to the study, every age bracket is being prescribed more antipsychotics today than in previous years, children and adolescents show higher rates of prescriptions than adults. Many of the prescriptions written to these children weren't even written by psychiatrists, but general practitioners who haven't been trained specifically in behavioral, cognitive, or mental disorders. "We have a national catastrophe. This is a situation where we have ruined the brains of millions of children...These are lobotomizing drugs. Of course, they will reduce all behavior, including irritability." The use of these drugs is replacing other, perhaps more effective solutions such as therapy and family counseling as the children in the study were not shown to be receiving either. The medical industry is pushing the quicker, easier, yet more toxic solution to younger people. Turning children with disruptive behaviors into chemically lobotomized zombies are not the only dangers of these drugs. The atypical class of antipsychotics is known for its list of dangerous side effects, which children are much more vulnerable to, including rapid weight gain, increase in blood pressure, metabolic abnormalities as well as a slew of disturbing neurological side effects. Tardive Dyskinesia is a permanent, drug-induced neurological condition which manifests itself through involuntary tics and jerks, and has been attributed to atypical antipsychotics. Dystonia, which causes painful, involuntary muscle contractions, has also been noted with these drugs as well as a more serious disorder which can kill a person within 24 hours-neuroleptic malignant syndrome. The most serious risk of all; however, is the risk of death to which there have been 45 pediatric deaths between the years of 2000 and 2004, where atypical antipsychotics was the primary cause of death, the FDA reported. Have Americans become so lazy that they are willing to risk the lives of their children because they are a bit hyperactive? A healthful diet, plenty of exercise, or even therapy could all be utilized to improve the behavior of most of these "disruptive" children without turning to antipsychotics. Instead, children are being chemically lobotomized with drugs that can damage them for life.